Sorry to be the bearer of bad news. 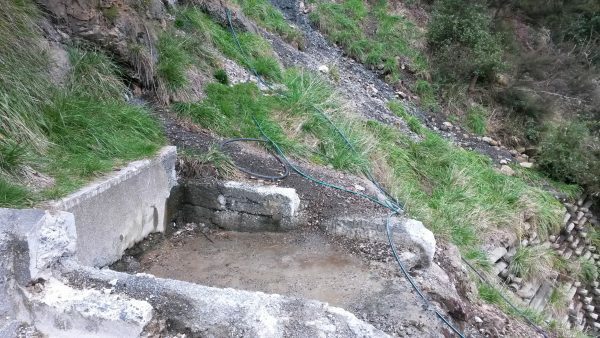 Almost 18 months ago, Tarawera Hot Springs’ cement tubs were dismantled. Last year I carried in an inflatable pool and obtained a pretty good soak. 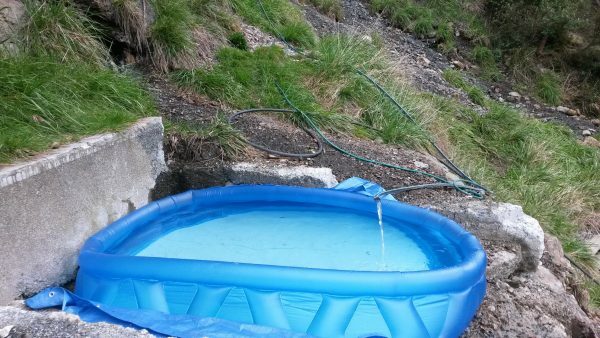 It took about 30 minutes to fill the pool with a black hose that was attached to the hot spring source. Last month I returned to find the hose was no longer flowing, and the track more overgrown than ever. A small slip has covered part of the former bathing area in rocks.